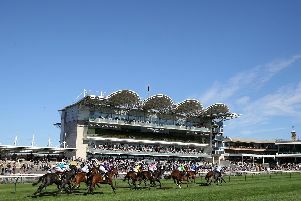 Soliloquy can justify the decision to stump up a supplementary fee by winning the Qipco 1000 Guineas at Newmarket on Sunday. The Dubawi filly came into 2018 under the radar having raced just twice as a juvenile, winning an Ascot maiden on her second start last September. However, she announced her arrival on the main stage in some style, making every yard of the running to see off the reopposing Altyn Orda by a length and three-quarters. Soliloquy got an excellent front-running ride that day and while Altyn Orda would be expected to improve for the run, the same comment also applies to Charlie Appleby’s winner. Appleby should also be on the mark with Wuheida in the Charm Spirit Dahlia Stakes. Wuheida must concede weight all round in this nine-furlong contest but she shoulders that penalty for her fantastic Breeders’ Cup win back in November. Lah Ti Dar takes a swift step up to Listed level in the Tweenhills Pretty Polly Stakes after only making her racecourse bow at Newbury last month. Mr Lupton should be thereabouts in the longholes.com Handicap after a decent effort on his return at Doncaster in March. Fellow Richard Fahey inmate Bengali Boys is the pick in Hamilton’s feature event, the totesport.com Tangerine Trees Conditions Stakes. Winner of Newbury’s Super Sprint last year, he found it tough going in better company after that but this looks within his radar. Dundalk: 2.00 Andre Amar, 2.30 Masalai, 3.05 Terzetto, 3.40 Oor Jock, 4.15 Kerosin, 4.50 Schoolboy Error, 5.25 Smart Stinger. Sligo: 1.40 Be My Dream, 2.15 Msassa, 2.45 Oakfield Rose, 3.20 Causey Arch, 3.55 Sally Park, 4.30 Sunset Sadie, 5.05 Ferocious. Towcester: 1.00 Dandolo Du Gite, 1.35 Sheelbewhatsheelbe, 2.10 Our Reward, 2.40 The Sweeney, 3.15 Barley Hill, 3.50 Champagne At Tara, 4.25 Ask Dillon. Hamilton: 1.30 Laughton, 2.05 Bengali Boys, 2.35 Starplex, 3.10 Tewafeedj, 3.45 Dandy Highwayman, 4.20 Sunader, 4.55 Mustaqbal. Newmarket: 1.50 Adamant, 2.20 Wuheida, 2.55 Mr Lupton, 3.35 SOLILOQUY (NAP), 4.10 Fanaar, 4.45 Lah Ti Dar, 5.20 Kitaabaat.